Whether you are vacationing or staycationing, explore the United States with this great bundle! Explore every state as well as several territories and the District of Columbia with puzzles, games, writing prompts, and more! 123 pages total! 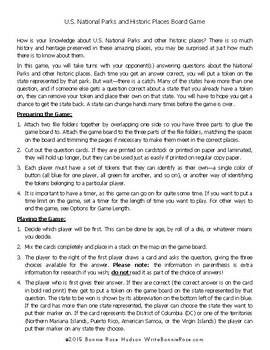 U.S. National Parks & Historic Places Board Game: This is a fun printable board game for upper elementary through high school. 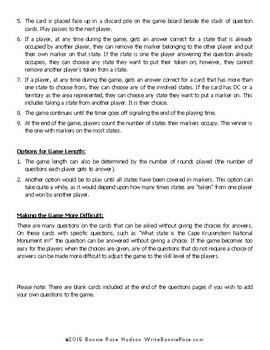 The game visits every U.S. state in addition to several U.S. territories and the District of Columbia with 341 multiple choice questions about National Parks, National Historic Places, and much more! It’s a great game to play as a family whether you are vacationing or staycationing! 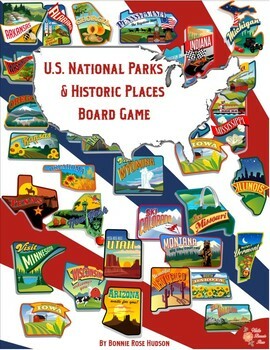 And don’t miss the U.S. National Parks & Historic Places Puzzles, Games, and Quizzes pack below. 38 pages total. 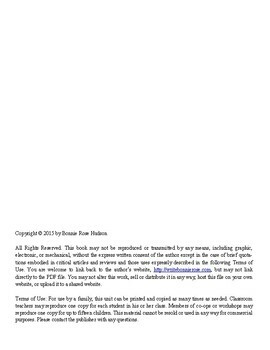 Related Products: U.S. National Parks & Historic Places: Puzzles, Games, & Quizzes.